ALL SALE ITEMS BUY ONE, GET ONE 1/2 OFF (1/2 off item must be equal or lesser value)!!! Monday, July 15th…so shop it up today! BUY ONE GET ONE 1/2 OFF!!!!! Bella is getting a new look! We will be closed for a few days beginning July 15th…we need to clear out some sale items before then. 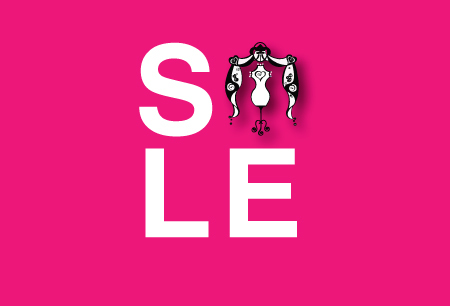 ALL SALE ITEMS BUY ONE GET ONE HALF OFF THE SALE PRICE (1/2 off item must be equal or lesser value)…starting now!!! Sale officially starts this Thursday 6/20 at 10am…Amazing markdowns! Come in early to shop select sale items…up to 90% off! …dress by Jessica Simpson ($138), wedge by DV Dolce Vita ($99), sequin detail dress by Vince Camuto ($168), wedge by Jessica Simpson ($99), Mac bag by Rebecca Minkoff ($325), Hi low dress by Free People ($168), sandals by Bernardo ($117), crossbody by Kelsi Dagger ($198), maxi dress by Jessica Simpson ($168), sandals by Splendid ($58). Jewelry by Jules at Bella. What’s in the Window this week at Bella…maxi dress by Greylin ($158), sandals by DV ($66), Skylar Mini bag by Rebecca Minkoff ($250). Blouse by Line & Dot ($108), denim by 7 for all Mankind ($224), Mac clutch by Rebecca Minkoff ($295), thongs by Melissa ($50). Ruffle dress by Greylin ($123), bag by Sondra Roberts ($62), wedges by Seychelles ($120). Print dress by Jessica Simpson ($128), bag by Sondra Roberts ($62), sandals by Kelsi Dagger ($99). Jewelry by Jules at Bella. …tee by Splendid ($64), vest by Free People ($118), Slim Cigarette jeans by Seven for all Mankind ($198), wedges by BCBGeneration ($88), stripe tee by Splendid ($74), shorts by Free People ($78), sandals by Kelsi Dagger ($99), stripe maxi by Splendid ($138), flats by DV Dolce Vita ($40), baseball tee by Splendid ($68), Easy High Water by JOE’S ($165), hat from Jules at Bella ($15), wedge by BC ($81). Jewelry from Jules at Bella. Have a Splendid Day!! What’s in the Window this week at Bella…sequin dress by Willow & Clay, pleat tank by Jack, denim by 7 for all Mankind, ruffle jacket by Line & Dot, tie tank by Bobi, palazzo pant by Line & Dot, lurex lace back dress by BCBGeneration. Shoes by BCBGeneration, Melissa, Seychelles and Kelsi Dagger. Jewelry by Jules at Bella. What’s in the Window this week at Bella…vegan leather jacket by Free People, tie blouse by Michael by Michael Kors, animal print jeans by Joe’s, sweater coat by Hazel, stripe dress by BCBGeneration, leather moto jacket by Line & Dot, dress by Velvet, ombre coat by Willow & Clay, lurex dress by Free People. Shoes by Seychelles, Kelsi Dagger and Melissa. Jewelry by Jules at Bella. What’s in the Window this week at Bella…Dress by Red Haute, cardigan and tank by Free People, colored denim by 7 for all Mankind, henley tee by Free People, denim skirt by 7 for all Mankind, dress by Red Haute, fur vest by Love Token. Boots by Kelsi Dagger, Seychelles and Jessica Simpson. Jewelry by Jules.